Mostly cloudy skies. A stray shower or thunderstorm is possible. High 76F. Winds SSW at 5 to 10 mph.. Rain early...then remaining cloudy with showers overnight. Thunder possible. Low near 60F. Winds SSW at 5 to 10 mph. Chance of rain 80%. Haden M. Prior was appointed by Georgia Governor Joseph E. Brown as leader of the Polk County home guard. Prior was murdered April 6, 1865, by members of Jack Colquitt’s gang as revenge for Haden’s son, John T. Prior, killing Colquitt out of self defense. 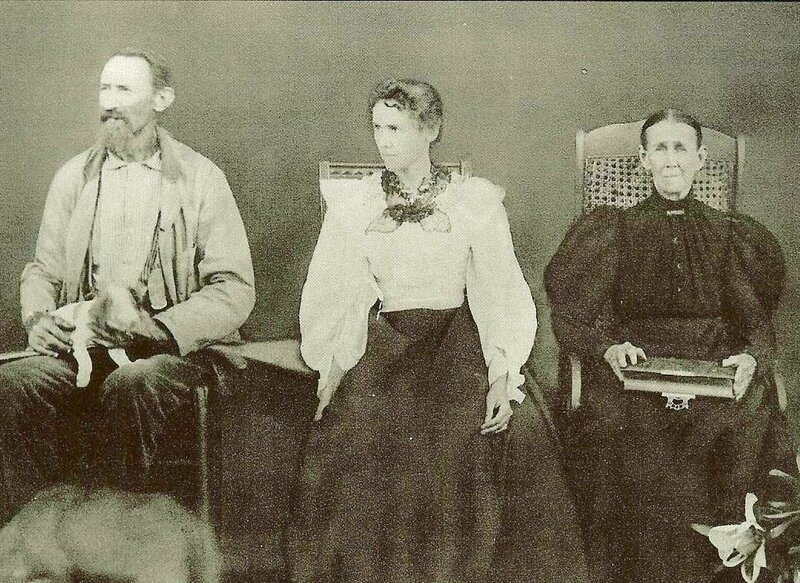 Prior descendant Richard Ferguson provided this photo of John T. Prior (from left), Anna Lou Prior, John T.’s daughter, and Nancy Munfort Prior, John T.’s mother. Houstoun R. Harper, an early writer for the Rome Tribune, penned the account of John T. Prior's revenge. Harper is here pictured in "The Cotton States and International Exposition and South, Illustrated," authored by Walter Gerald Cooper and published in 1896. Harper, the son of Col. C.M. Harper, a Confederate soldier and nephew of early Shorter College patron Alfred Shorter, would go on to become the editor of the Chattanooga Times before switching careers to become the manager of the Hotel Patten in Chattanooga, then the Hotel Seminole in Jacksonville, Fla.
Editor’s note: The Polk Standard Journal inadvertantly ran the second part of this 2-part series by Ross Rogers last week before running the column below. Read the fate of the Colquitt gang, Haden Prior’s remaining days and John T. Prior’s legacy at polkstandardjournal.com. We regret the error. Prior witnessed firsthand the lawlessness and desperation gripping Northwest Georgia in the wake of Gen. William Tecumseh Sherman’s march to Atlanta. It was a time of freedom, albeit transient freedom, for those enslaved. It was a time of terror for those in the path of the Union army. Many in Cedartown fled as Gen. H. Judson Kilpatrick’s cavalry burned the city. John T. Prior’s father, Haden Mathew Prior, suffered the loss of his barns and warehouses despite being a Union sympathizer. Roving bands of Confederate scouts, originally organized to impede Union forces, only furthered the misery of those who remained. The most notorious of these gangs in Rome and Cedartown was that of Capt. Jack Colquitt. Colquitt and his men deserted from the 8th and 11th Texas Cavalries, and “hanged Judge Burrell near Rome and got his money; killed Mr. Omberg, and a villain named Phillips ... got his watch; Mr. Allgood, the owner of an iron factory, was hanged and left for dead because he would not tell where his money was hidden; Mr. Cohen, a wealthy miller and merchant, was hanged until his life was almost extinct, and until he told the hiding place where several thousand dollars were dug up,” wrote Harper. In the midst of this chaos, Georgia Gov. Joseph “Joe” E. Brown appointed local militia to help wrangle the desperado Confederate scouts. 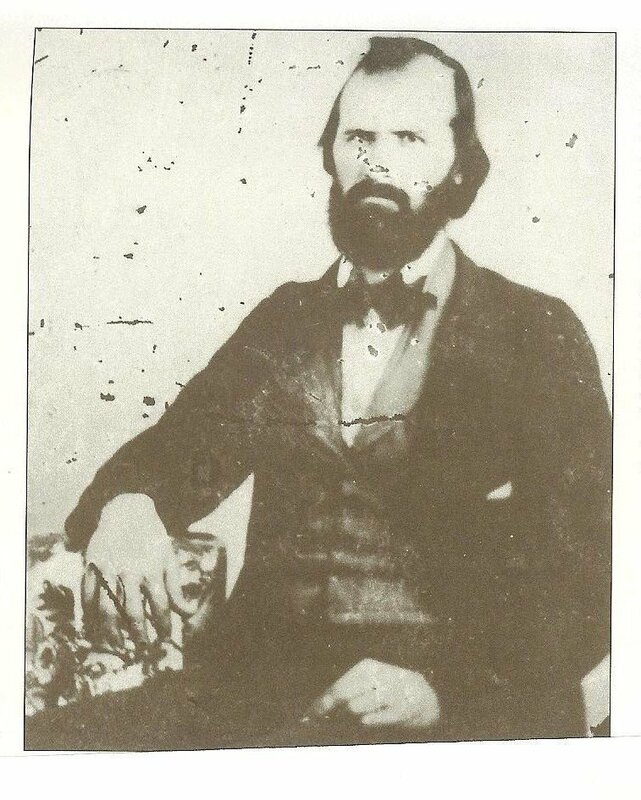 Haden Prior was appointed captain of the Cedartown home guard, and as fate would have it, it was John T. Prior who would bury the Colquitt gang. John T. Prior recalled his first encounter with the renegades on a road between Prior’s Station and Cave Spring, saying, “...we came upon a band of five of the so-called scouts, whom we had been pursuing. The desperadoes were armed to the teeth, but my father and I and the others of the party got the drop on them and ordered them to ride up.” One of the men, a Texan named “Ducky” Ward, attempted to flee on horse, but a shot from Prior’s rifle found his back. As the Prior party ushered their prisoners to the Cedartown jail, a man approached leading Ward’s horse. “There’s a man lying dead up the road,” he said. Colquitt’s men would be sent to prison in Newnan, where they were released after only two weeks. Prior and the second officer would find Colquitt thoroughly soused in a grocery store. They roused him and he cursed them and went to draw his pistol. “I saw I had not a moment to lose. I sent a bullet through his heart. All the people said it was good riddance.” But Prior’s entanglement with the Colquitt gang was just beginning.